Articles and videos for your use. Here are some recent articles written/co-written by James Vesper. If the article cannot be supplied automatically online due to the publisher’s requirements, please request that a copy be emailed to you. James L. Vesper and Kevin O’Donnell (2016). Current Challenges in Implementing Quality Risk Management. Pharmaceutical Engineering, Nov-Dec, 36:6, pp 73-79. Risk communication is an important component of quality risk management as described in the ICH Q9. It has not received as much consideration as the other parts of Q9. Risk communication must be made more effective – our risk decisions depend on the quality of our communication. Better risk communication will result in better decisions ultimately contributing to patients receiving medicinal products with the high levels of quality, safety, and purity that they deserve. Vesper, J. L. (2011). GMP Expectations for Learning, Training, and Performance. 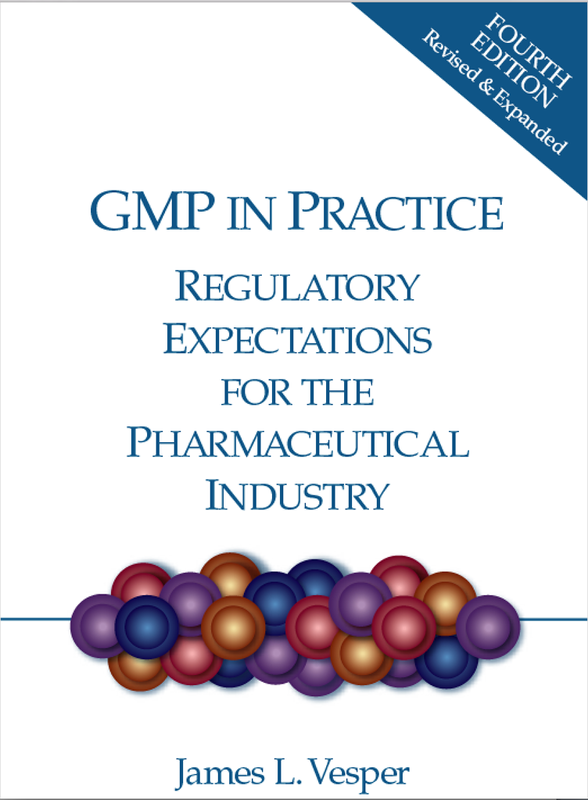 Book chapter from GMP in Practice, 4th Edition. Published by DHI/PDA. Book available at PDA.org bookstore. Vesper, J. L., Herrington, J., Kartoğlu, Ü., & Reeves, T. C. (2015). Initial design principles for establishing a learning community for public health professionals through authentic e-learning. International journal of continuing education and life-long learning. 25:2 (pp. 241-257). Vesper, J. L., Reeves, T. C., & Herrington, J. (2013). Using preliminary risk assessment in a formative evaluation. In J. Herrington, A. Couros & V. Irvine (Eds. ), Proceedings of World Conference on Educational Multimedia, Hypermedia and Telecommunications 2013 (pp. 407-412). Chesapeake, VA: AACE. Vesper, J. L., & Herrington, J. (2012). Considering communities of learners when creating an e-learning course. In T. Amiel & B. Wilson (Eds. ), Proceedings of World Conference on Educational Multimedia, Hypermedia and Telecommunications 2012 (pp. 481-490). Chesapeake, VA: AACE. Vesper, J. L., Reeves, T. C., & Herrington, J. (2011). The application of expert review as a formative evaluation strategy within an educational design research study (AACE, Trans.) Proceedings of World Conference on E-Learning in Corporate, Government, Healthcare, and Higher Education (E-Learn) 2011 (pp. 973-978). Honolulu, HI: AACE. Vesper, J. L., Kartoğlu, Ü., Bishara, R., & Reeves, T. C. 2010. A case study in experiential learning: Pharmaceutical cold chain management on wheels. Journal of Continuing Education in the Heath Professions, 30(4), 1-8. Vesper, J. L. and Reeves, Thomas. 2005. “Training and the FDA Draft Guidance on Quality Systems” BioExecutive International. May 2006. Vesper, J. L. 2005. “Assessing and Managing Risks in a GMP Environment” BioPharm International. March (vol. 18, no. 3) pp. 46-58. Vesper, J. L. 2003. “What are GMPs Anyway?” BioProcess International. February (vol. 1, no.2) pp. 24-29. 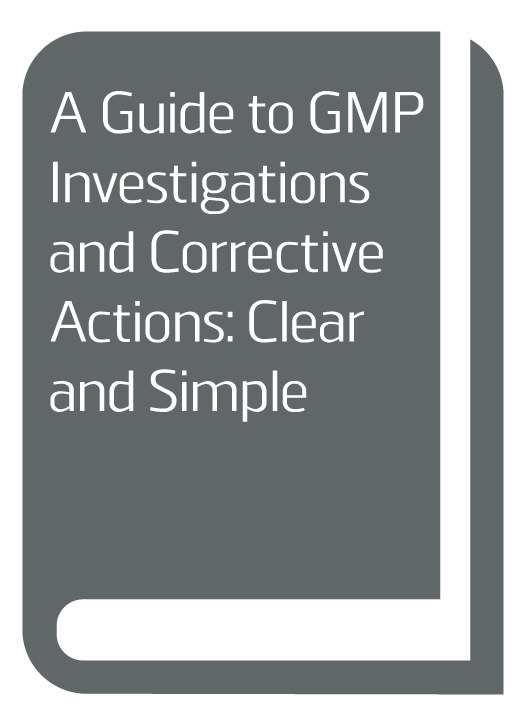 Download PDF: So What Are GMPs, Anyway? Vesper, J. L. 2001. “Writing Procedures that Contribute to Performance.” BioPharm. August (vol. 14, no. 8) pp. 22-25. Vesper, J. L. 2001. “Performance: The Goal of Training (or Why Training Is Not Always the Answer…).” BioPharm. February (vol. 14, no. 2), pp. 44-46. Vesper, J. L. 2000. “Defining Your GMP Program with a Training Procedure.” BioPharm. November (vol. 13, no.11), pp.28-32. Vesper, J. L. 1993. 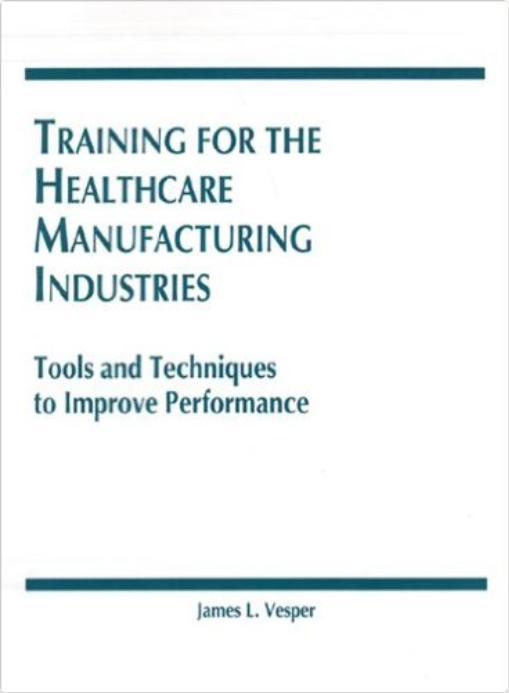 “Measuring the Effectiveness of Training.” Pharmaceutical Engineering. Jan/Feb 1994 (vol. 14, no. 1), pp. 8-16. Vesper, J. L. 1993. “Considering Users When Implementing New Pharmaceutical Technology.” Pharmaceutical Engineering. May/June 1993 (vol. 13, no. 3), pp. 92-95. As part of a unique e-learning project, the World Health Organization (WHO) asked James Vesper to create several instructional lecture videos on topics related to quality systems, procedures, and risk management. These videos are used as reference materials within the e-learning courses. Here are several of them. Click on a book cover to learn more about it. Unwanted quality events and deviations occur in even the best organizations. When they happen, investigations help to identify what caused the event and provide information on options for how to prevent a recurrence. As manufacturing and distribution practices get more complex and more global, manufacturers cannot just focus on one or two sets of requirements – it is too difficult to operate a quality system that has a multitude of variations to meet the individual requirements of a particular national authority. 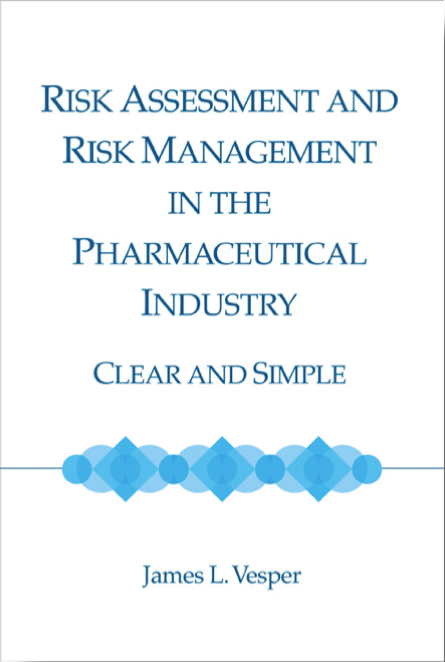 The book begins with history, definitions, how we think about risks and hazards, it gives overview of the risk management process and commonly used risk assessment methods and tools. It also explores the phases of the risk management process in detail and examines how the various tools can be applied in identifying hazards and evaluating their potential impact and affects. 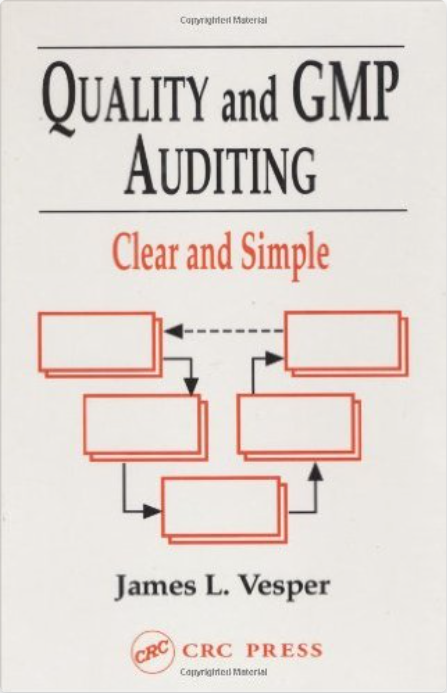 This guidebook provides proven methods and techniques for performing effective audits that serve your department, your company, and you. Topics covered relate to the four key competencies essential for successful GMP audits. Documentation, when done correctly, is the greatest tool for product quality consistency, personnel training, and operational efficiency. 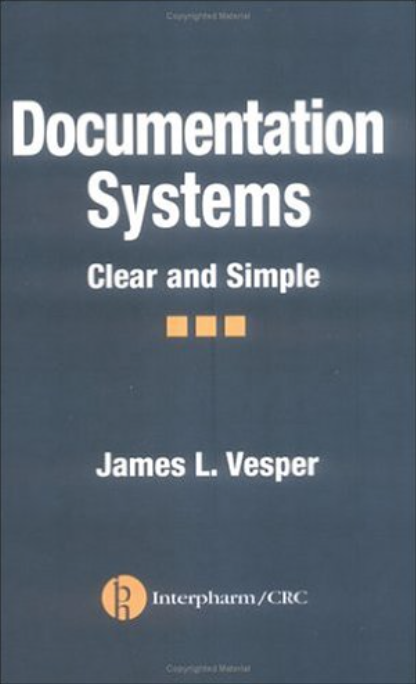 This text covers everything readers need in order to systematically address all aspects of the function and the creation of a superior documentation system. Training is critical to compliance, product quality, and profitability. Focusing on employee performance and using a systematic approach to design, develop, deliver, and measure effectiveness of instruction can optimize the training investment.